It’s Customer Appreciation Week and we have a bevy of bonuses to thank you for being a CanPlay Casino player! 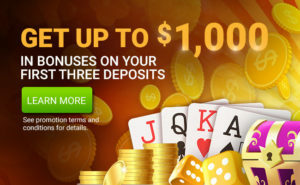 Take advantage of our deposit bonus matches, up to $700 in bonuses. We’re also giving away bonus spins each day you log into your account, get up to 35 bonus spins on the CanPlay Casino Million Dollar Slot Machine. From October 10th – 16th (except Oct. 12th), make a deposit each day with code THANKYOU10 to receive 10% match up to $100 bonus. On October 12th, make a deposit with code THANKYOU50 to receive a 50% match up to $100 bonus. From October 10th to 16th, log into your CanPlay account each day and get 5 FREE SPINS on the Million Dollar Slot. 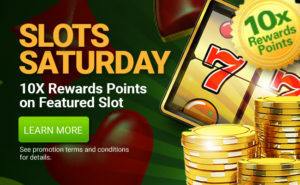 Must log in each day during the promotion to receive 5 free spins per day. Each deposit code can only be used once per player, per day (on the promotion day specified). The casino and deposit bonuses carry a 30X play through requirement and expires in 15 days. Bonus spins expire 15 days from issuance. On Friday, October 12th players who deposit with THANKYOU50 will receive a larger match bonus of 50% up to a $100 Bonus. The casino bonuses carry a 30X play through requirement and expires in 15 days. Each deposit code can only be used once per player, per day. 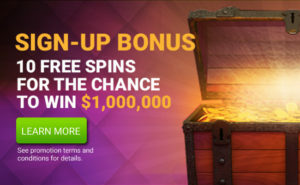 All CanPlay Casino Players will receive 5 Free Spins on the CanPlayCasino.com $1,000,000 Slot Machine every day they log in between Wednesday, October 10th 2018 through Tuesday, October 16th 2018.